LANSING, Mich. — Sen. Jim Stamas was named the next chairman of the Senate Appropriations Committee on Thursday by Senate Majority Leader-elect Mike Shirkey. “I am honored to be entrusted with leading the process to once again pass a balanced budget that holds state government accountable, supports our students and fixes our roads,” said Stamas, R-Midland. “As chairman, my focus will be to protect Michigan residents’ hard-earned tax dollars and ensure they are used effectively and efficiently to invest in education, infrastructure and roads. Stamas was elected on Tuesday to a second term as state senator for the 36th District, and he will begin his tenure as Appropriations chairman when the 100th Legislature takes office in January. 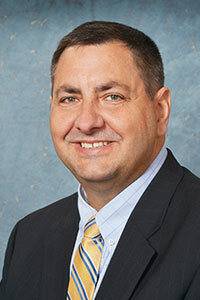 Stamas was first elected to the Senate in 2014, representing Alcona, Alpena, Arenac, Gladwin, Iosco, Midland, Montmorency, Oscoda, Otsego and Presque Isle counties. He currently serves as assistant majority floor leader, as chairman of the Joint Committee on Administrative Rules, and chairs the General Government subcommittee on the Senate Appropriations Committee. Stamas is the owner of Pizza Sam’s in Midland and previously served as a state representative, county commissioner, township trustee, and in both the U.S. Army and the Michigan National Guard.